Ashin Issariya, also known as King Zero, played a key role in organising the monk-led anti-government protests known as the Saffron Revolution in September 2007. In 2008, after watching – from hiding – nearly all of his comrades receive lengthy prison sentences, he fled to the border town Mae Sot and has lived there ever since. 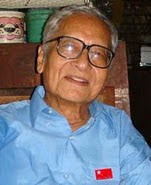 He currently teaches Burmese migrant factory workers and publishes the Burmese journal New Generation Note. He co-founded educational organisation The Best Friend in 1999 and continues to install libraries in refugee camps on the Thai-Burma border and in Burma. Portia Larlee spoke with Ashin Issariya about the power of education, the events leading up to the Saffron Revolution and the causes of religious tension. PL: How did your libraries begin in Burma? AI: In 1999 the Yangon [Rangoon] University library was filled with very old books and students did not access it. I wanted to fill the library with political books. We ended up opening a library in my room, which grew bigger and bigger. I also had English speaking friends teach other monks. In 2003 I opened a free education centre, providing computer, English and Japanese classes in Mandalay. At the same time we opened two libraries in Mandalay. PL: You were involved in sparking the Saffron Revolution of 2007. Can you describe the events leading up to the anti-government protests? AI: In 2007 my friend and the co-founder of The Best Friend, Ashin Sopaka, planned a peace walk from Bangkok to Mae Sot as a non-violent action to raise awareness of injustices in Burma. Before the walk began, I met him in Mae Sot. He spoke to international media and called attention to his protest. I returned to Burma and shared fliers about his peace walk, and also spoke with international media. There are 500,000 monks in our country, I knew we had a responsibility to support our people and try to change their lives. Ashin Sopaka and I understood that if we did not act, nothing would change. We organised peace walks across Burma. In Magwe, soldiers beat and tortured monks. We held a big meeting in Mandalay to discuss the regime’s use of violence to respond to protesting monks. We decided to start a boycott. We would turn our alms upside down until the military apologised. We shared this with international media and distributed fliers on the ground in Mandalay and Yangon. The military had until 17 September 2007 to apologise, they did not. 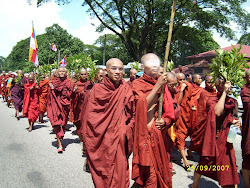 On 18 September monks started to participate in more peace walks across the country. We also started reciting the boycott letter from the monastery. On the morning of 16 September I went to an internet shop and got information that the military would shoot and beat us if we continued to march on the streets. PL: What happened on 26 September? AI: We organised marches around Yangon. 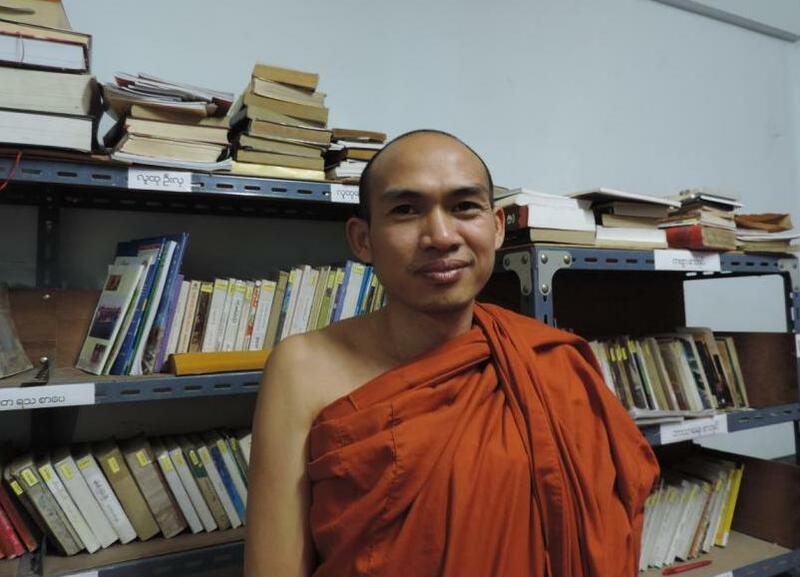 The military beat, tortured and shot our monks. I took photos of this happening at the base of Shwedagon pagoda. People were outraged to see soldiers beat and torture monks. The military blocked our marches and surrounded us. Many young monks started running and I remember asking them to please stop running and continue to sit with us. Eventually the military told us they had an order to clear the streets; they gave us ten minutes and told us if we did not leave, they would beat us. PL: You were in hiding for a year after the Saffron Revolution. Why did you finally decide to flee Burma? 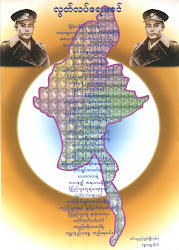 AI: During those nights at the end of September 2007, the military entered monasteries and beat and tortured us monks. We were in fear because we did not know which monasteries they would enter. The military ordered senior monks to send all junior monks back to their villages. In late September 2007, we were all split up and in fear. Once arrested, we knew we could do no more; we knew we would be sent far away and would be isolated. After a year of working from hiding, I went back in my village. Two of my friends – members of Generation Wave – had been beat and tortured by officials until they gave them my name. For the first time, the officials had my information. Many of my friends had been arrested and I knew they would eventually find me. If they could not catch me I knew they would catch my family. I discussed this with my mother and she pleaded with me to keep moving and stay out of jail. She told me I could do more this way. I arrived in Mae Sot in October 2008, started teaching Burmese factory workers and founded a library. PL: The Best Friend organisation was founded in 1999 in Burma. You have faced a number of difficulties operating since then. What is the status of the organisation now? AI: At the beginning there were 15 libraries across Burma, now there are three. We want to open libraries and free education centers in Burma. This is our movement. In our country, most people are poor and cannot gain higher education. We try to create opportunities but with more money we can do more. What we do is individual; we do not apply for funding and we are not an NGO. Burmese people donate to me and I use this for our programs. PL: What is the importance of your education movement? AI: I never had a chance to learn. In my mind, I could not be a good leader and I did not care about politics. Eventually, I began to read more and more and began wanting to write. I started to understand my responsibility to share knowledge. When people have knowledge they know themselves; they can try to change the system and be good leaders. They can think and their minds can be higher. Fifty years ago our country was richer than Singapore and Thailand. But military officials began selling off the country’s resources and now most people are very poor; their thinking is lower and they cannot think the right way. Higher military officials tend to be very rich and many people believe these rich elite are making money because they did well in their past life. Our people believe we are poor because our past life was very bad. They believe they can be a rich and educated leader in the next life and they forget about their present life. If they think like this they don’t want to make changes in their lives. So I don’t like this system and I am always sharing knowledge. The library can change their mind if they read more. These books changed me. PL: What issues are monks facing in Burma’s monasteries today? AI: Monks are facing a gambling problem across the country; the government allows the sales of lottery tickets in some monasteries. I believe the government wants to keep the people down. Gambling monks begin thinking in a simple way; either they lose or win. They are not focused on the world around them. How can you think deeply, gain knowledge and work for positive change in the country when you are thinking about lotteries? The government freely allows this to happen in many monasteries. Yet, when I opened libraries in the past they asked me if I had a permit and caused trouble for me. This is not good for our country. We should have libraries, not lotteries. PL: Over 140,000 Rohingya people have been displaced since 2012. What do you think are the root causes of this sectarian violence between Muslims and Buddhists in Arakan State? AI: I got information from Meiktila after the riots in March 2013. I was told outsiders – a group who were not from the Meiktila – were seen on bikes with knives attacking Muslim homes. The police never try to stop them. I believe the military disguises people as Buddhists to start violence between Buddhists and Muslims. I believe the military does have a responsibility to prevent violence. Religious violence happens when you do not have a peaceful mind. Soldiers, Christians, Muslims – everyone can have a peaceful mind. It doesn’t matter if you are Buddhist, you can still follow this peaceful Buddha way. I never hate; I teach anyone. PL: How long will you stay in Mae Sot? Will you return to Burma? AI: Here in Mae Sot I can help change many minds. I can write and talk freely. Many people come to Mae Sot every day from Burma to do menial labour. Higher education brings understanding and I try to share this with Burmese laborers who cross the border most days. We all want to go back but we cannot.